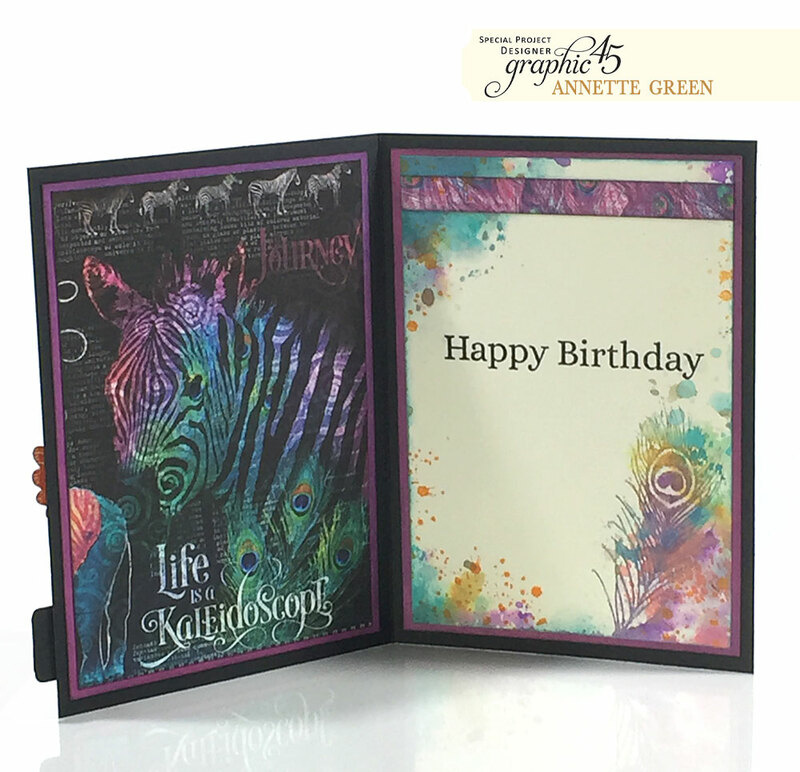 It's a special birthday over on the Graphic 45 blog today and I'm delighted to share in the celebration. Be sure to hop over to the Graphic 45 blog and wish Aimee a happy day. The card measures 5" x 7" with a black cardstock base. I've used the Kaleidoscope 8" x 8" papers, some 12" x 12" Patterns and Solids, Tags and Pockets, and the new Matte Pearl Gems. 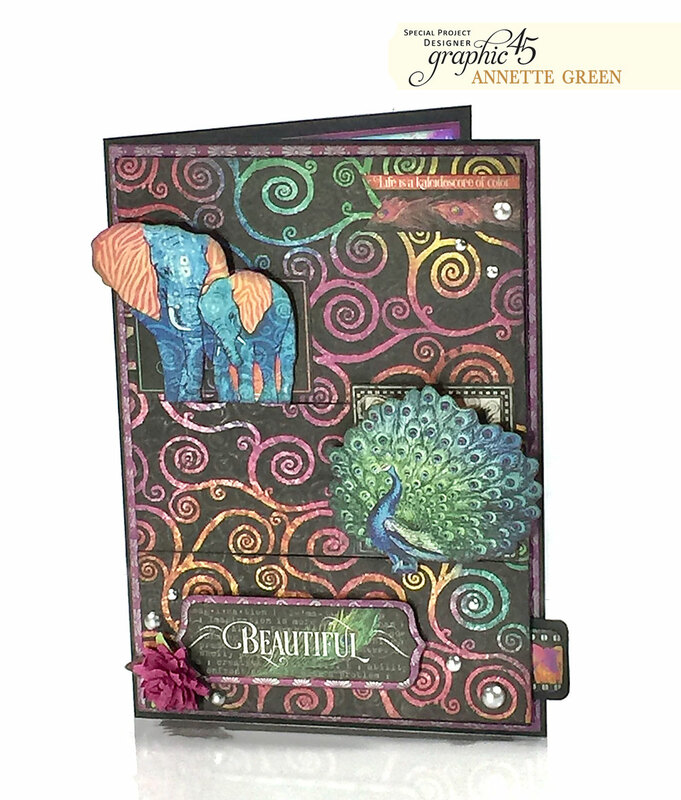 When you pull on the side tab, the peacock and elephants move at the same time but in different directions! Whoa, that absolutely blew my mind when I saw that. Even knowing how it's accomplished, I still can't believe it works so well. LOL! 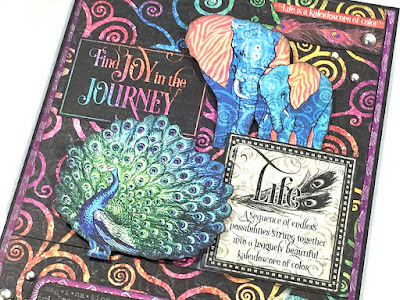 I placed the inspirational quotes behind the animals so they were revealed when pulling on the tab. 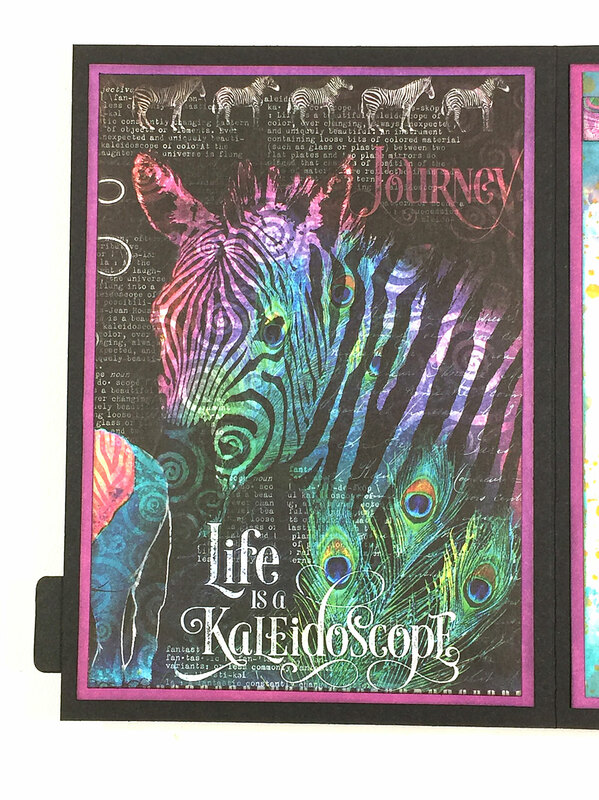 The inside panels are framed with the purple side of one of the Patterns and Solids, then the beautiful zebra image from the signature page is cut out on the left. 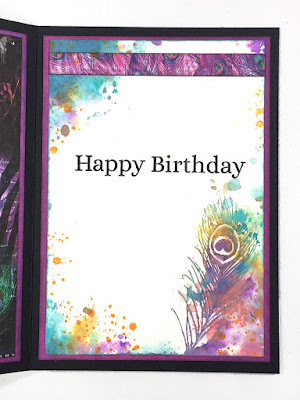 I stamped Happy Birthday onto plain ivory cardstock, then got out my Distress Oxides to colorize the outer edges and also to stamp the peacock feather in the lower right corner. I have to say the assembly is a little bit tricky and you have to watch her video a couple of times to get it right, but it works really well and is such an impressive card in the end. 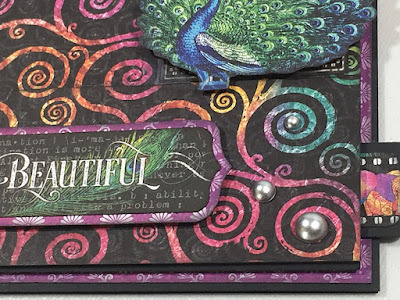 I embellished here and there with the new adhesive-backed Matte Pearl Gems. 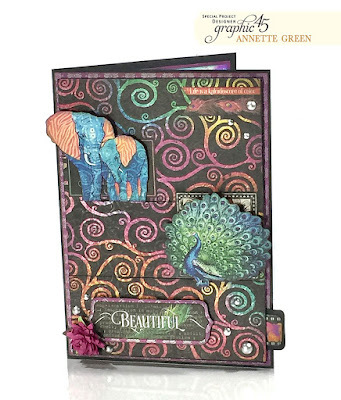 I used the silver color, but they also include gold and black ones in the pack; lots of them and in various sizes too. I popped this small flower on the lower corner which matched the collection perfectly. Dawn at ItsOnlyADream97 made the tutorial that I followed. (I made adjustments for my 5" x 7" size.) Hope you can check it out. 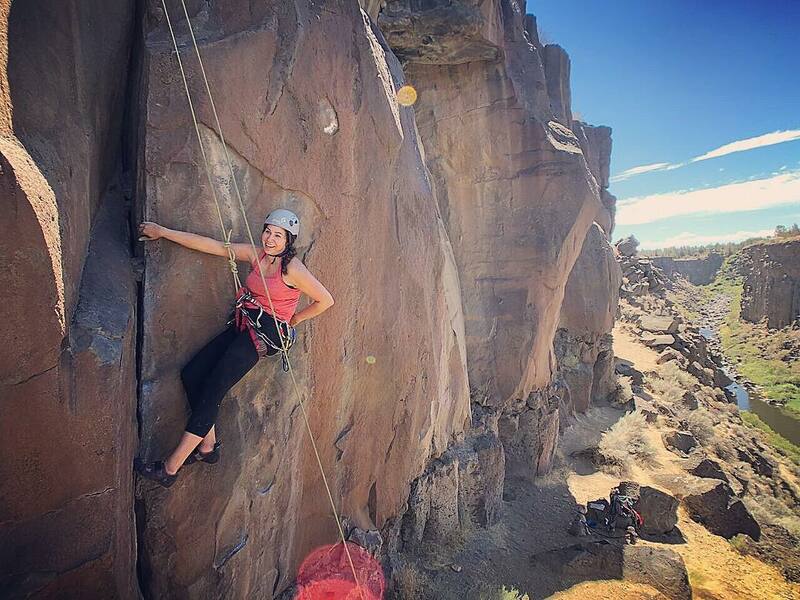 Here's her link. Thanks for stopping in and sharing a special birthday wish to Aimee with me. FRIYAY! It's Friday. Happy weekend to ya. I decided to revamp my By The Sea Tag & Policy Envelope Album before releasing the tutorial, and while I was at it I decided to make the same album using A Proper Gentleman Deluxe Collectors Edition just to show that one tutorial can take you far. I can imagine making this same album out of many, many collections. 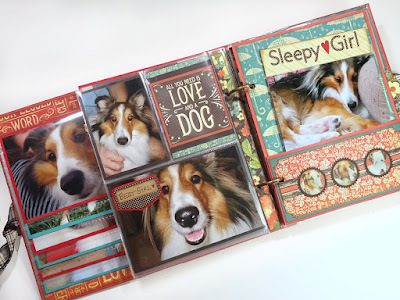 I've listed the tutorial in my Etsy shop today, and also listed each of these albums for sale, and whipped up a quick video to share with you. I hope you take a moment to check it out. 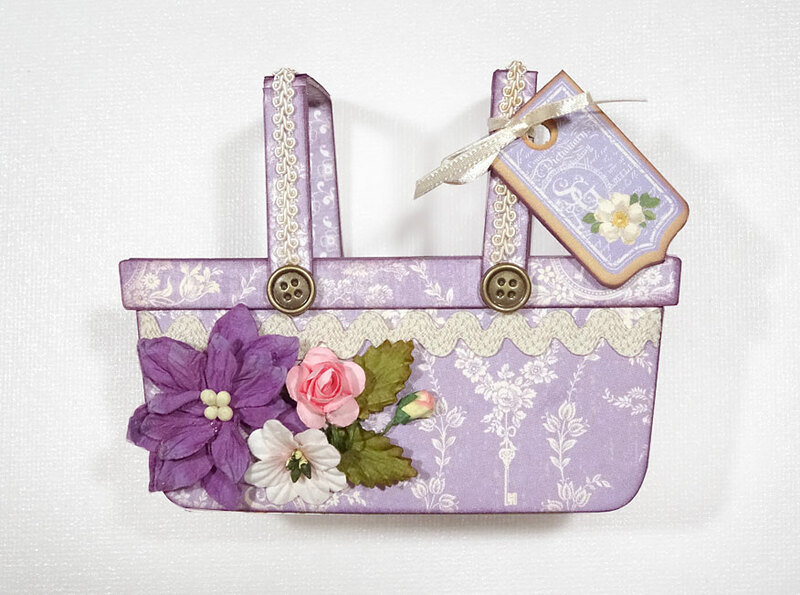 My Etsy shop is here. Do You Scrapbook Your Pet? I do! 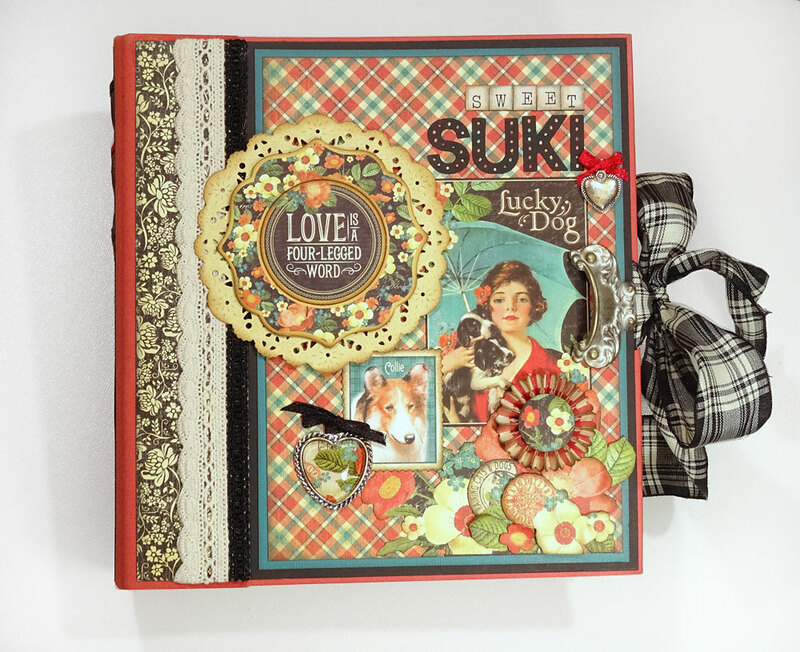 I think it would be difficult to make this album if Suki was no longer with us. The emotions and grief would make it very hard for me. I could do it, but I think it would have to be several years after her passing. I'm happy I did it now, while she's still here. What do you think? Have you scrapbooked your pet during their lifetime or afterwards? How was that experience? 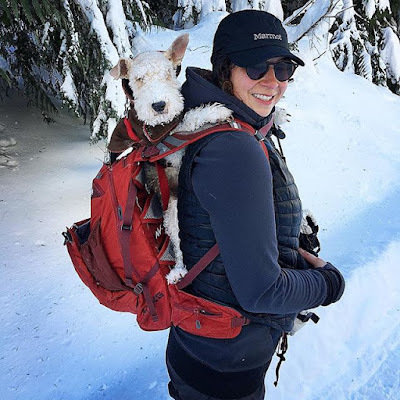 I'd love to hear your story. Thanks for popping in today and checking it out. It was a true pleasure to make. 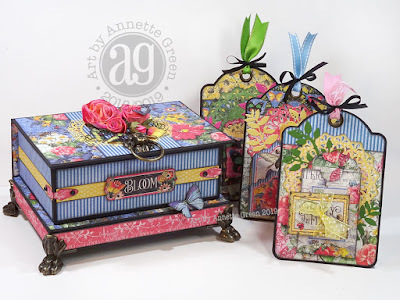 Easter is just around the corner, so why not whip up some sweet little Easter baskets with decorative papers, trims and flowers in your stash? Once you make one, you'll find it hard to stop, so I'm warning you in advance. These little cuties would be perfect filled with colorful foil-wrapped chocolate eggs or Easter grass and a small gift. 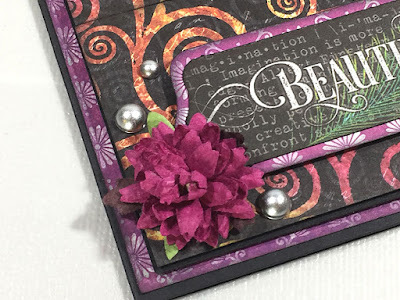 I've created a tutorial for you below to share how easy they are to make and some tips along the way. TIP: Thinner chipboard can be used, but the scorelines in the die show up best on medium weight. Next, I die cut the basket pieces from the two different papers, one for the outside, one for the inside. 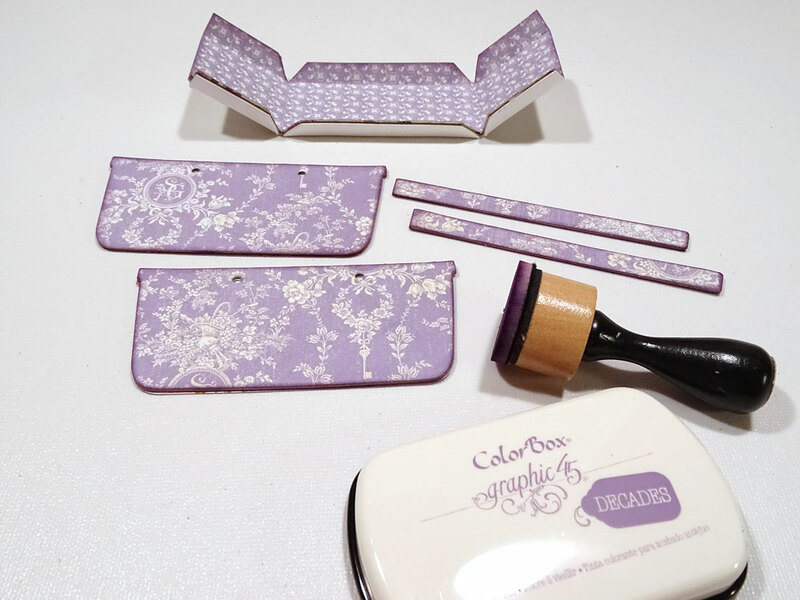 TIP: This is where you can really have fun mixing and matching papers. For my baskets I wanted a more monochromatic look. 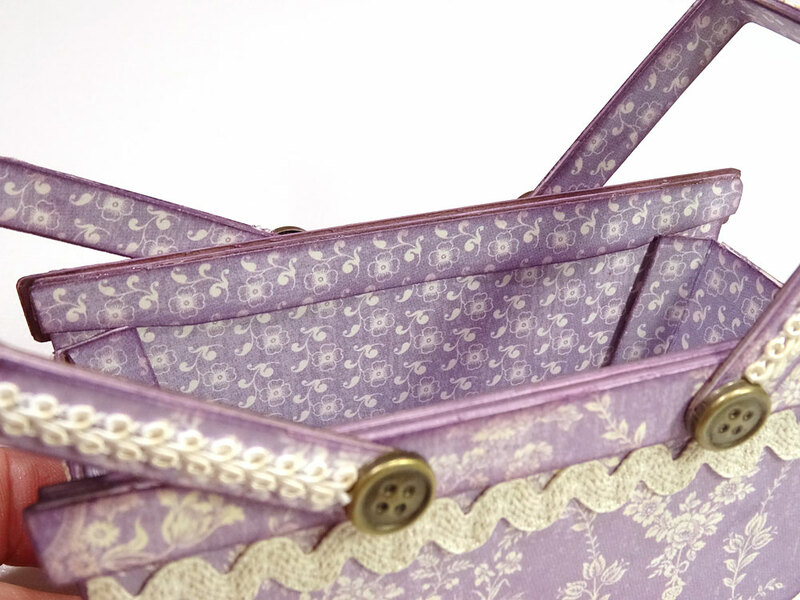 I adhered both paper designs to the two basket sides, inside and out, and only the outer print to the two trim pieces. Finally I adhered the inner paper to the basket base piece. I used Decades ink for Graphic 45 by ColorBox in French Lilac to ink the edges. 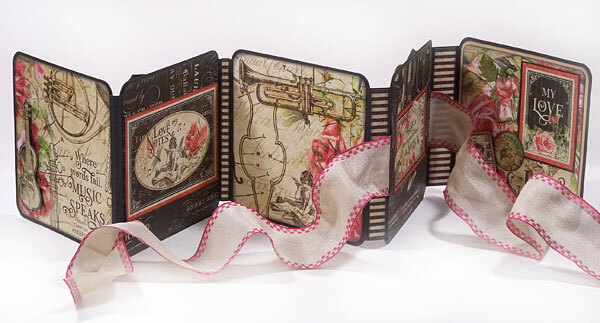 TIP: It's best to bend the chipboard and paper pieces on their score lines before adhering them together. 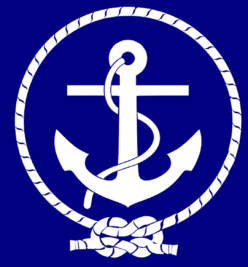 If you adhere them flat and try to fold them afterwards, they will most certainly tear. Trust me. 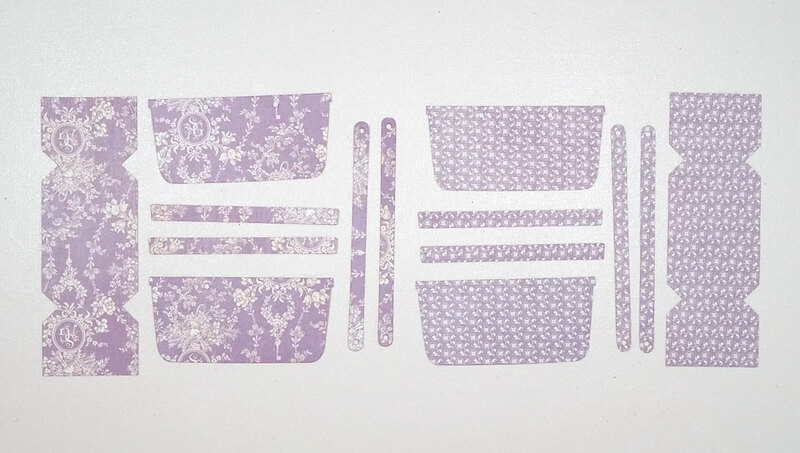 From the outer base paper, I trimmed the left and right edges completely off and inked the edges. I adhered the trim pieces to the tops of each basket side piece and clipped them while the glue dried. I found it helpful to trim the base paper apart before adhering to the outer base. TIP: Trimming off those side flaps from the paper in the previous step helps reduce the bulk when glueing the basket sides to the base. 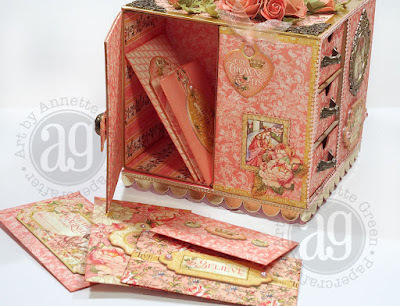 Bend the chipboard handle pieces as well as the inner papers on their score lines then adhere together. Clip until glue is dry. 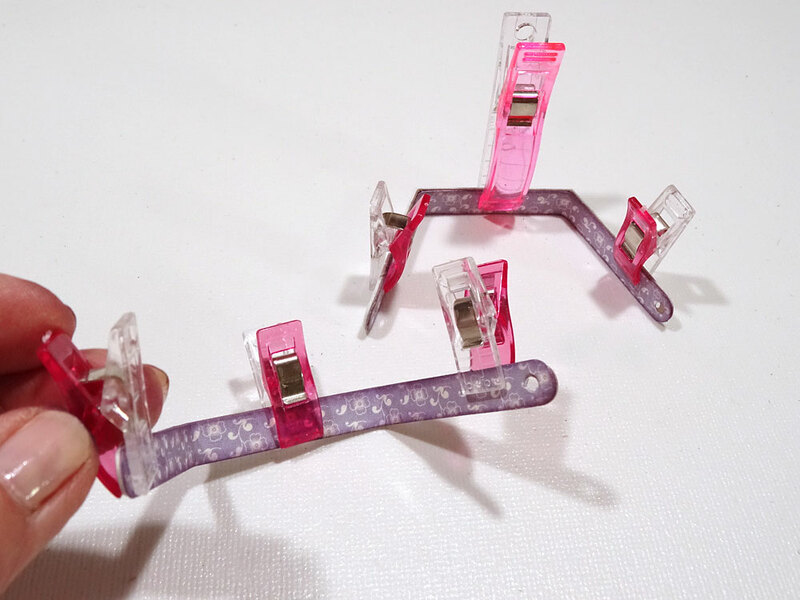 I found these clips on Amazon for cheap! They come in two sizes and are nice and strong. 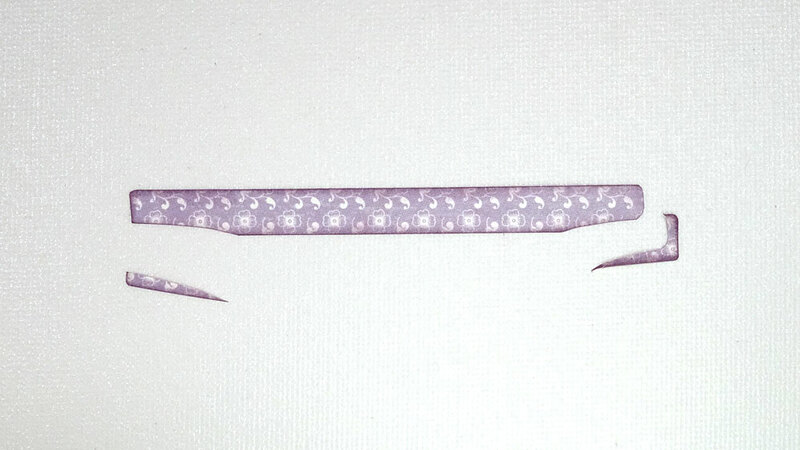 Just like the base papers, I cut apart the outer handle papers before adhering them down. 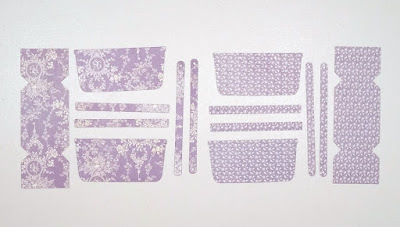 TIP: I used the purple ink to fill in the gaps and also will be adding ribbon later, so these joint spaces won't show up as much. 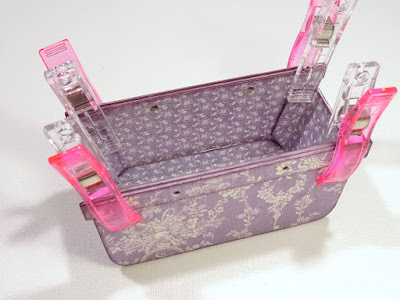 Once the outer trim pieces were dry on the basket sides, I used my Crop-a-dile to punch the small holes all the way through. Next I adhered the basket sides to the base, clipping again until the glue dried. TIP: A strong all-purpose glue like Beacon's 3-in-1 is great for jobs like this. 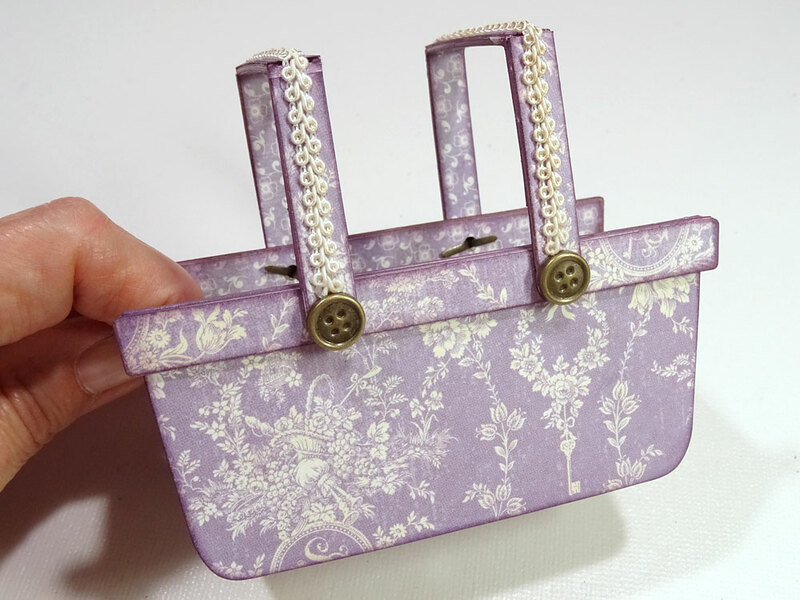 I added this pretty trim to my basket handles, then inserted these cute button brads through to the inside of the basket and opened out the prongs. 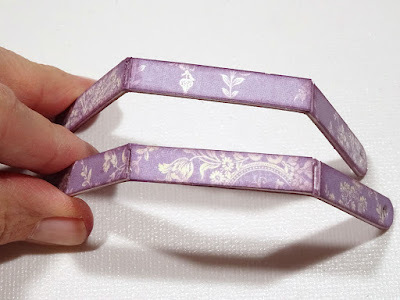 If you're like me, you don't like seeing those brad prongs in there, so I have a fix for those in the next step. 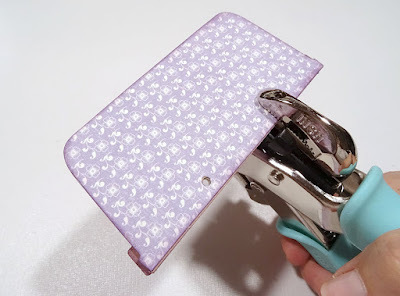 TIP: Because of the thickness of the chipboard and papers, you'll need to use brads with long prongs. I found these at my local Hobby Lobby. To cover the prongs, I used those last two inner paper strips. 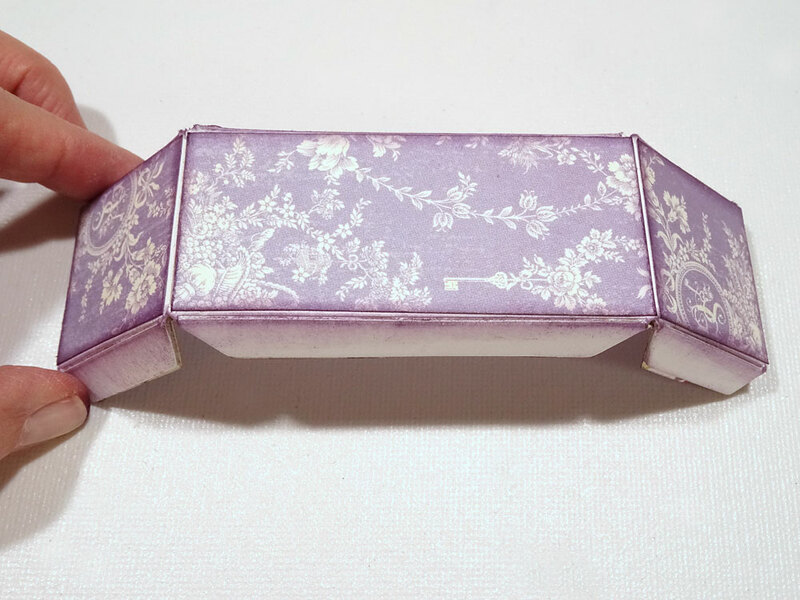 I cut an angle off the bottom corners like this and trimmed a little off one end as well. I adhered this piece over the prongs. Now it's nice and neat! I adhered ivory ric-rac ribbon around the basket, trimming off at the ends rather than wrapping one long piece all the way around. Either way is fine. It's your option. 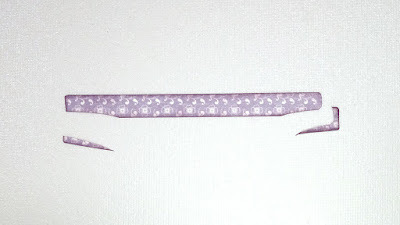 TIP: I use Fray Check at the ends of ribbon cuts like this so they won't fray over time. 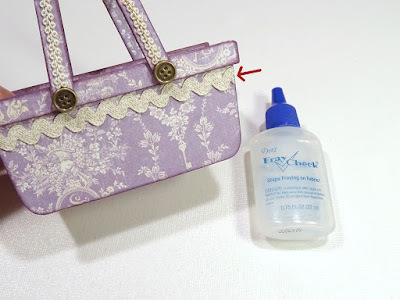 You can find this product in the sewing notions department of craft/fabric stores. To finish it off, I adhered little flowers and leaves, then tied the Secret Garden chipboard tag to the basket handle. Here's another look at the finished baskets. 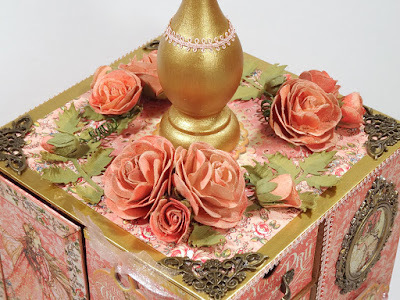 FINAL TIP: Think outside the box (or basket!) 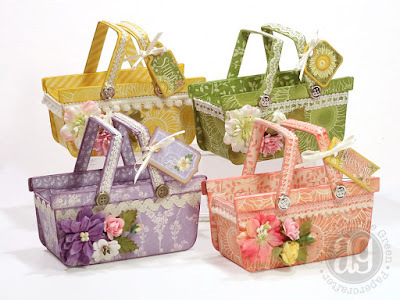 and use Eileen's die to make little picnic baskets, pretty purses, tool boxes or gardener's totes. The ideas are endless! Thanks for stopping in today. I hope you liked the project. 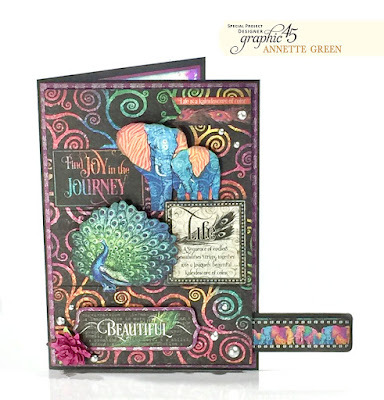 You can find Graphic 45 products in your favorite scrapbook stores or directly from Graphic 45 now. Have fun and let me know if you make some little baskets! 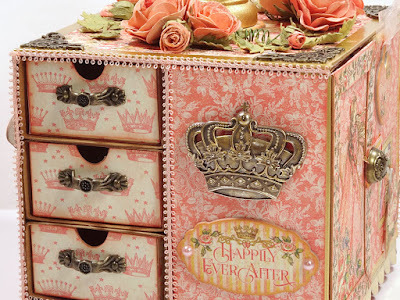 I've had this idea in my head when I first saw Eileen Hull's new "Treasure Box" and "Stacking Drawer Box" dies. 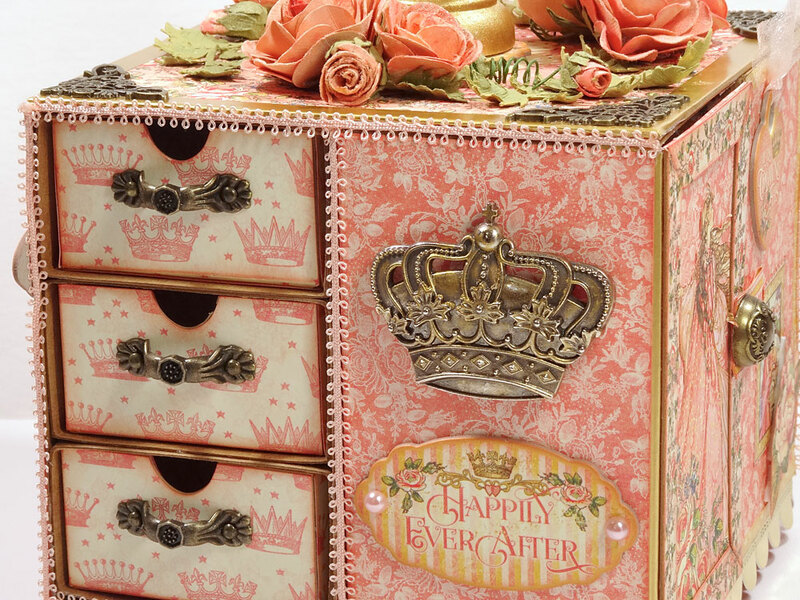 Graphic 45's Princess collection immediately came to mind for a Princess-themed rotating jewelry box. 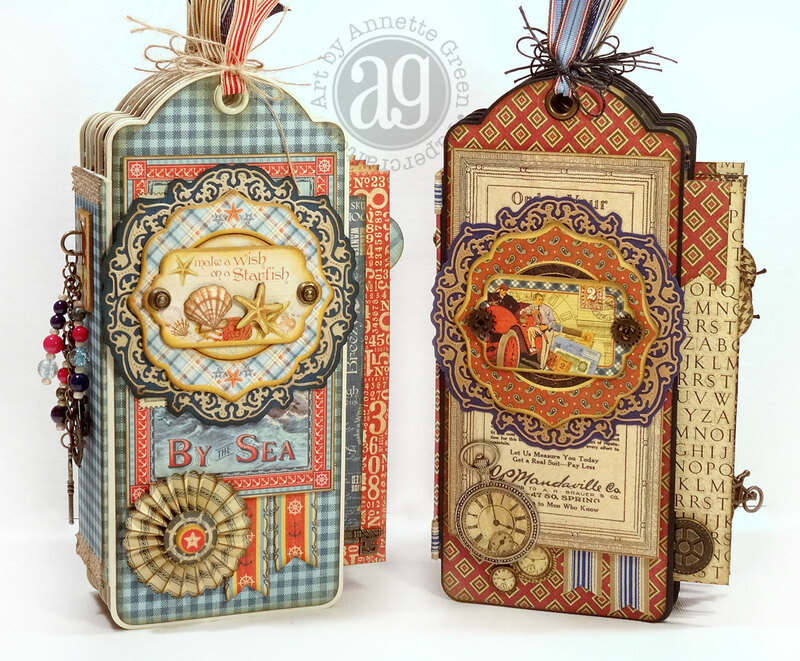 I got right to work and enjoyed a week of crafting and creating it. With the addition of some metal accents I've accumulated over the years and some pretty trims, this came together nicely. 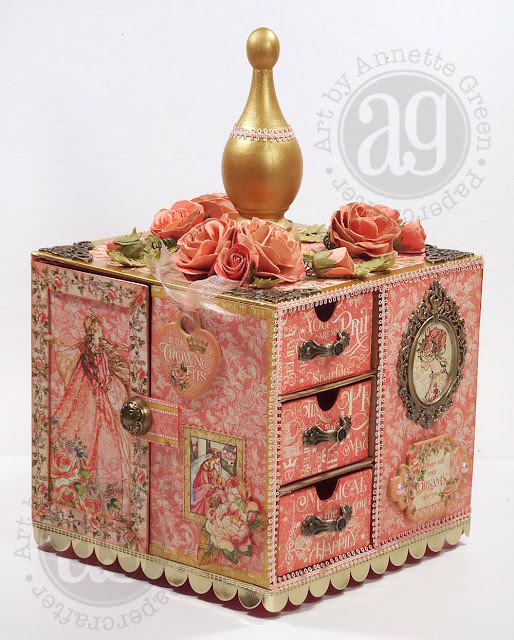 The top is adorned with the pretty Peach Rose Bouquet from Graphic 45, along with ornate metal corners and a gold finial at the center which serves as a knob to turn the rotating jewelry box. I hope you have a moment to check out my video below. There's somewhat of a tutorial halfway through to help you understand how it came together if you're interested in making your own. This item is one of a kind and will be listed for sale in my Etsy Shop tomorrow (March 4, 2019) at noon EST. If you have any questions, please let me know. Thanks for stopping by today. Have a great week! Flutter Kit listed in my Etsy Shop - SOLD OUT! Four kits have been listed today in my Etsy shop of this beautiful Flutter Decorative Box and Tag Set. 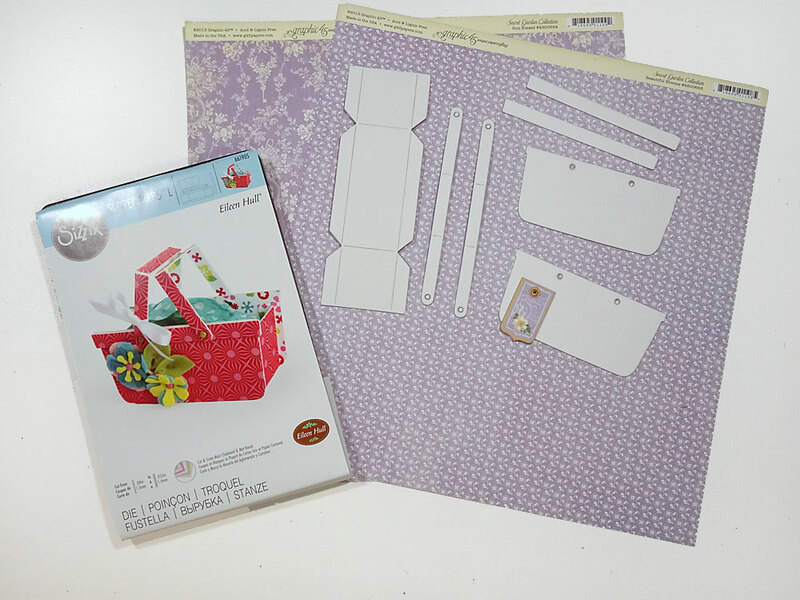 Everything's included, along with pre-cut papers and step-by-step directions. More photos and details in the listing. RUN, don't walk, here now! Since this post, the four kits have sold out. Thanks and congrats to those speedy shoppers! Hello everyone. I hope you're doing well. 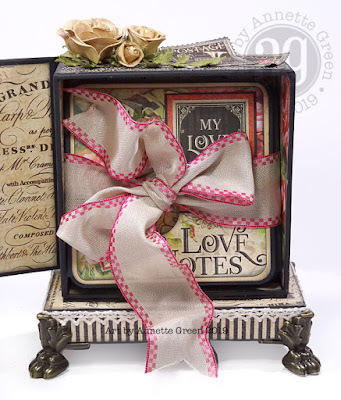 Today I'm sharing my Decorative Box and Mini Album project I initially created for Creativation 2019 using Graphic 45's beautiful new "Love Notes" collection. This is now a CLASS right here in my area and I'll provide all the details at the end of the post. 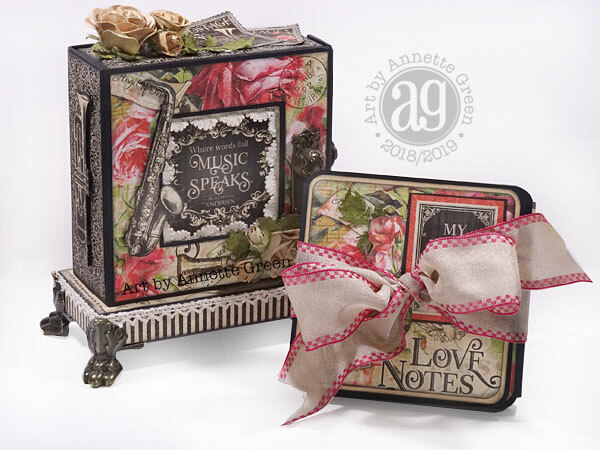 This decorative box can be used as a pretty display piece and the mini album can fit inside or be displayed separately. Students will learn how to make this custom base for the Graphic 45 black mixed media box, as well as all kinds of techniques throughout. 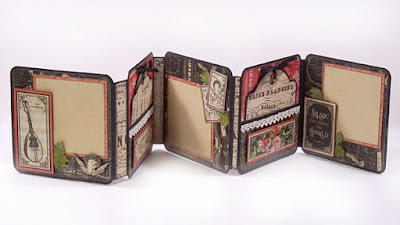 The mini album is created using 5 of the 6 black cardstock inserts which come with the box, and can be displayed in an accordion style, and folds up in a rolled-up fashion when closed. 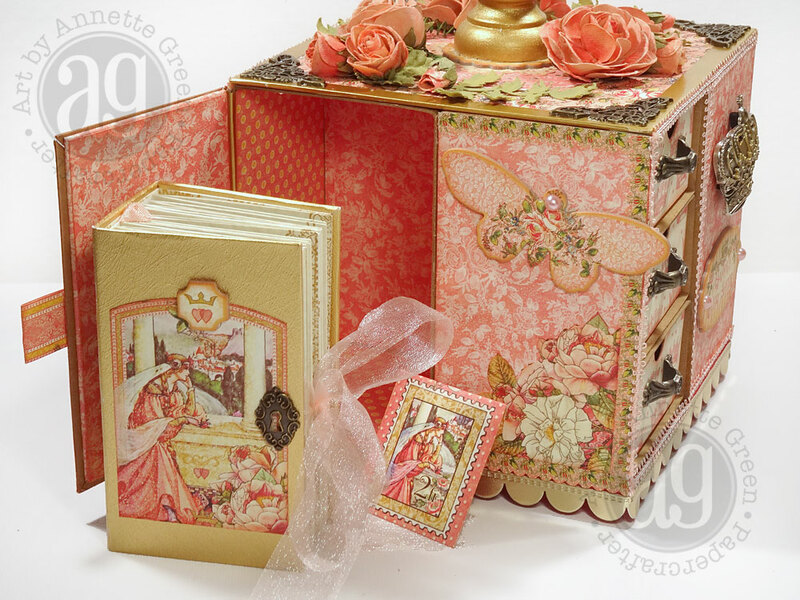 The inside and outside can accommodate photos and journaling. 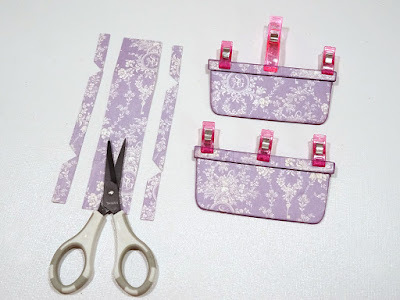 Students will learn a simple method to bind the inserts together as well as how to create easy pockets for the pretty tags from the 6th cardstock insert. Can't make it to class? I'll be providing a tutorial in my Etsy Shop on April 1st. Stay tuned! Tip: Click on my Etsy link in the right column of my blog page, then "favorite" my shop when you get there, then you'll be alerted when I post any new items. Thanks for popping in today. Have a great day! I've had this idea on my mind for a while now, leading up to my friend Sarah's birthday this month. It's a vintage-style aviator's flight log book using graphics from various sources, Eileen Hull's "wrapped journal" die and some antique metal embellishments. Sarah and I have been friends for over 30 years. 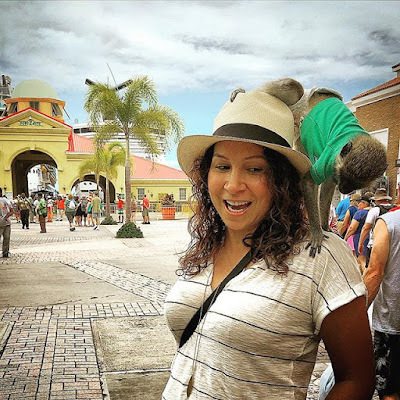 She's a former Air Force pilot and is in the process of finishing building her own airplane! 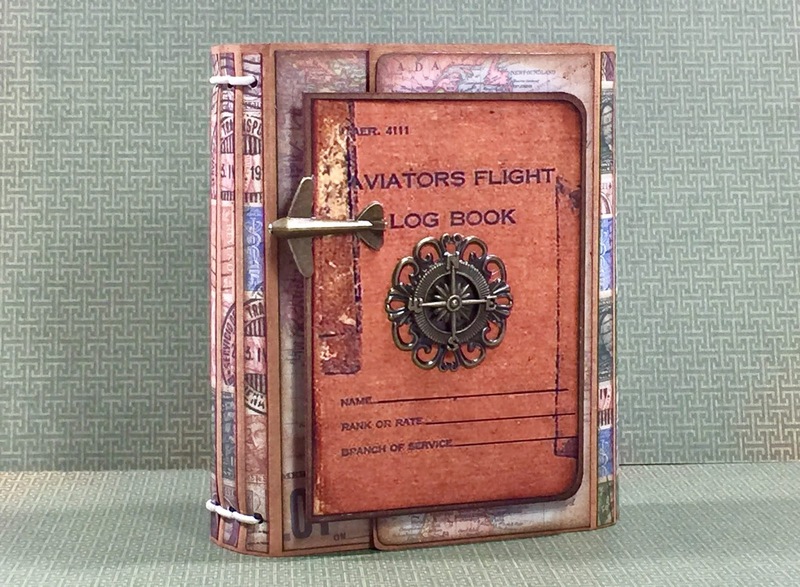 So I thought it would only be fitting to make her a functional log book for her journeys. Here's a short video taking you through the process of how I created it, along with some tips and details along the way. 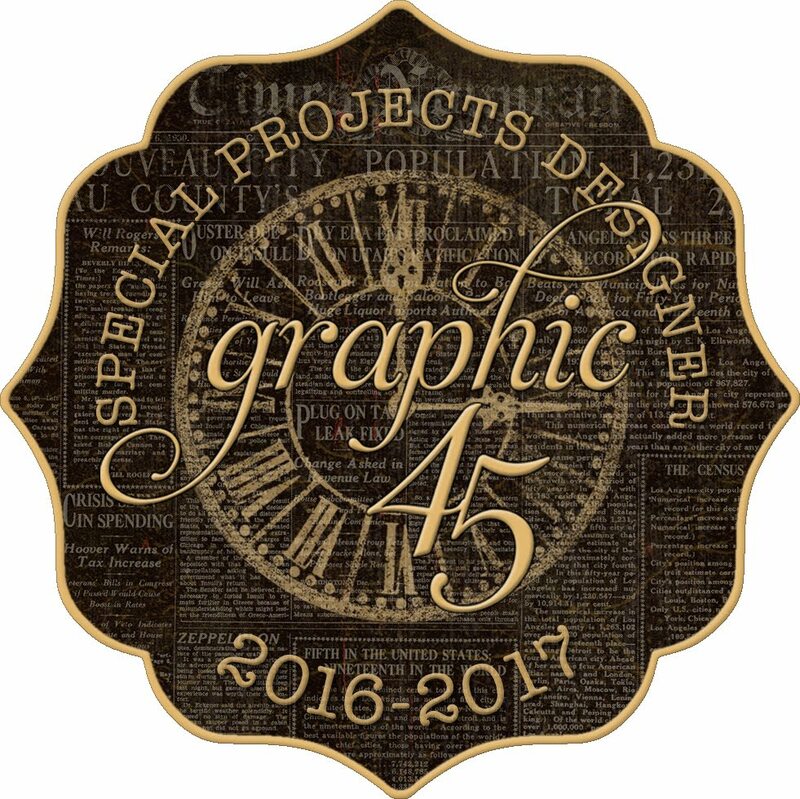 It's a departure from my Graphic 45 design projects, as you'll see, which I think is good to do from time to time. 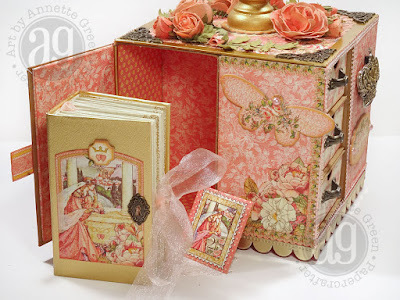 Plus, I use up older papers and embellishments in my stash which is salso a good thing. 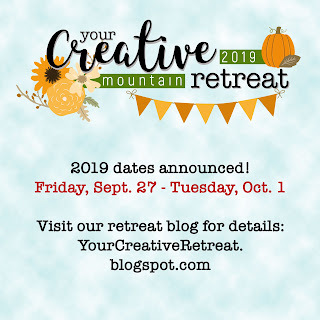 Creativation and Creative Mountain Retreat registration! Soon I'll be off to Phoenix for Creativation, the annual craft and hobby show! This is the best place to see ALL the new and upcoming craft products (and trends) in the industry before they are sold in stores, and to connect with other designers, exhibitors and store owners. 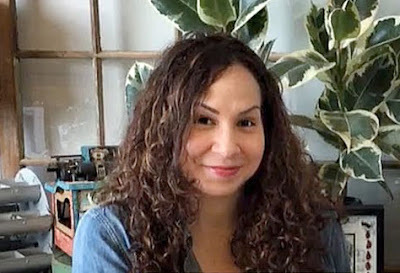 I'll be attending this year's show with my friend and assistant Tiffany and we'll be taking a few fun classes together so we're sure to have a great time. I'll be posting lots of photos and videos on my social media, so be sure to follow me on Facebook and Instagram. (my links are in the righthand column of this blog page.) The show officially begins this Saturday, but I'll give you some good stuff to watch and see up until then as well as during the show. Your Creative Mountain Retreat registration begins tomorrow evening, 7 p.m. EST. We had a shared room become available since the last time I posted, so be sure to check the Retreat Blog for all the info and updates. Read through the main page and the Registration page (tab at the top) so you are fully informed and are ready to go at 7 p.m. Good luck! Hi All. 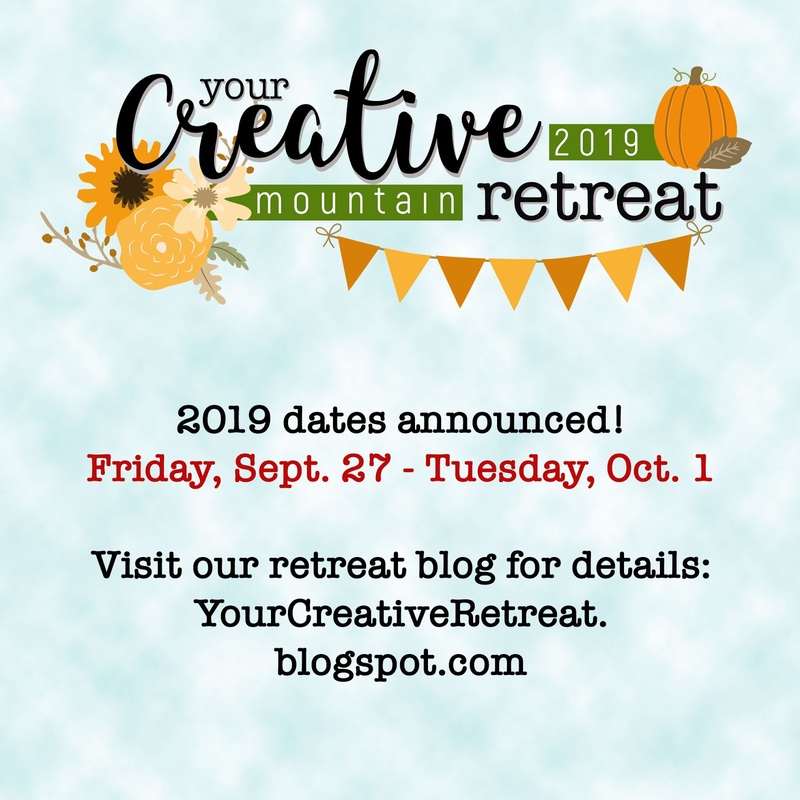 If you're interested in our 3rd Annual Creative Mountain Retreat, the registration day is quickly approaching. We've posted an update on the Your Creative Retreat blog today with important info. Be sure to hop over there and read through everything. Thanks!